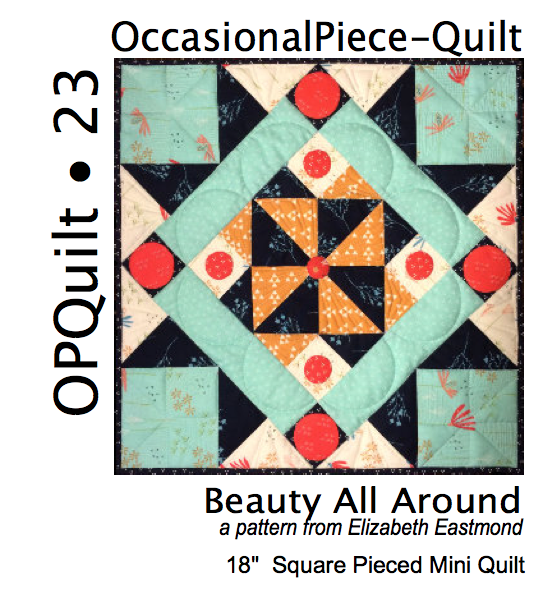 Beauty All Around | OccasionalPiece--Quilt! 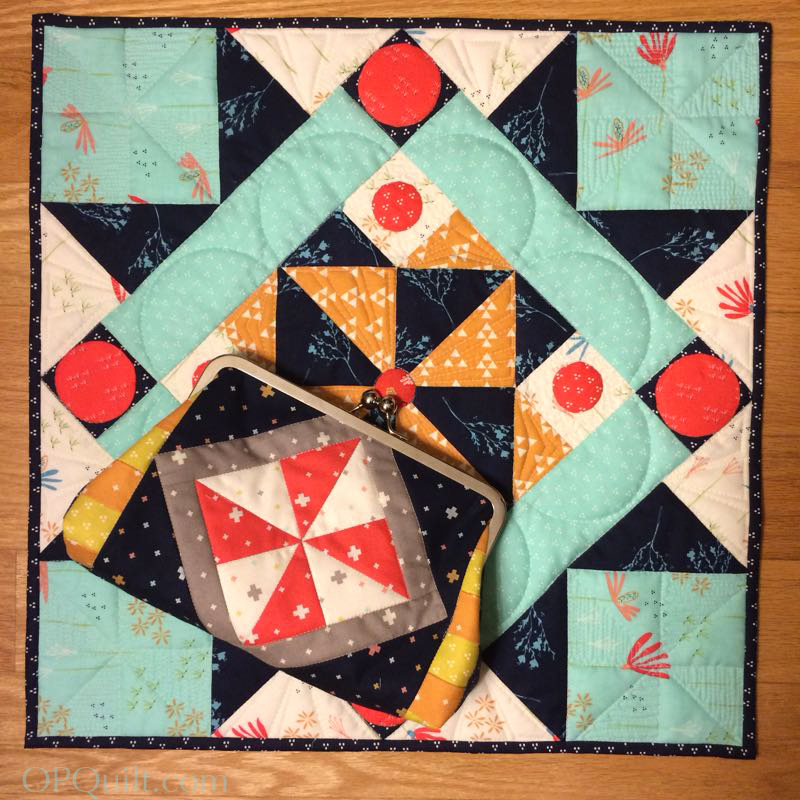 Posted on May 25, 2016 by Elizabeth E.
Before I start on my market wrap-up posts (although Sherri of A Quilting Life has a nice array of photos of her Moda contemporaries), I wanted to show you some of the market sewing I did for Sherri. She sent me some fabrics, I sent her an email with a design, then I got to work creating this little mini for her Moda booth. She has the words “There is Beauty All Around” on the selvage of her one of her fabric lines, so I grabbed a bit of that for a title. I got it wrong initially, thinking it belonged to this line, Desert Bloom, but it belonged to the previous collection. Now you know them both! It’s pattern #23 in my Craftsy Shop, and in my PayHip Shop (for EU readers). It’s a fun little mini that makes up quickly. Because it is a new little pattern and a wee little star at Quilt Market, it has a lower price for the first month, then I’ll put it back up to the regular price in my shops. But that’s not all. I also made Sherri a clutch out of her fabric, featuring a pinwheel to match the quilt. 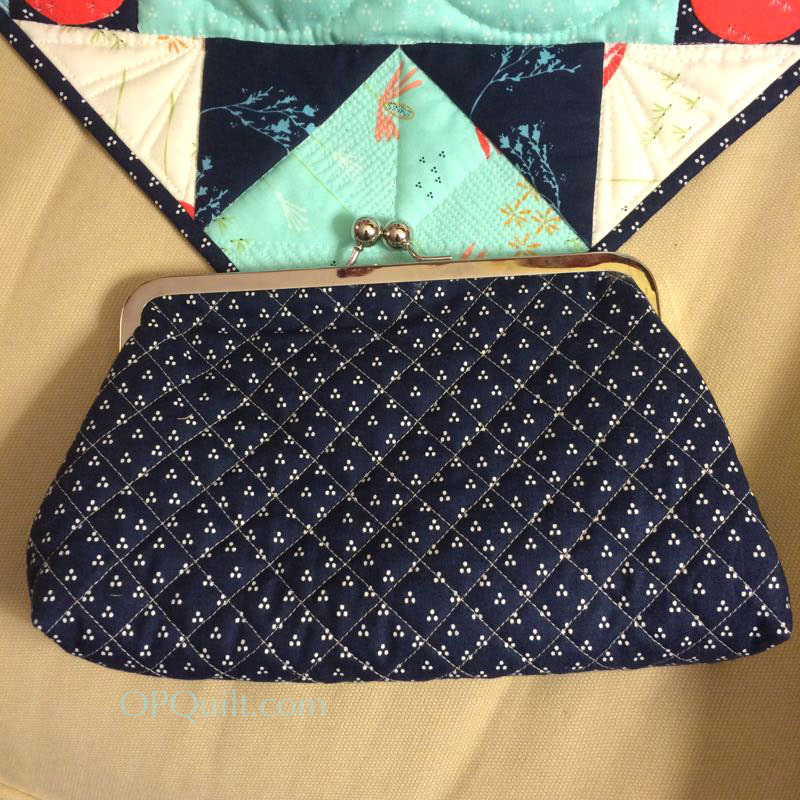 I used Diane Stanley’s clutch pattern (she’s also known on IG as ylmommyx4), and it went together really quickly. 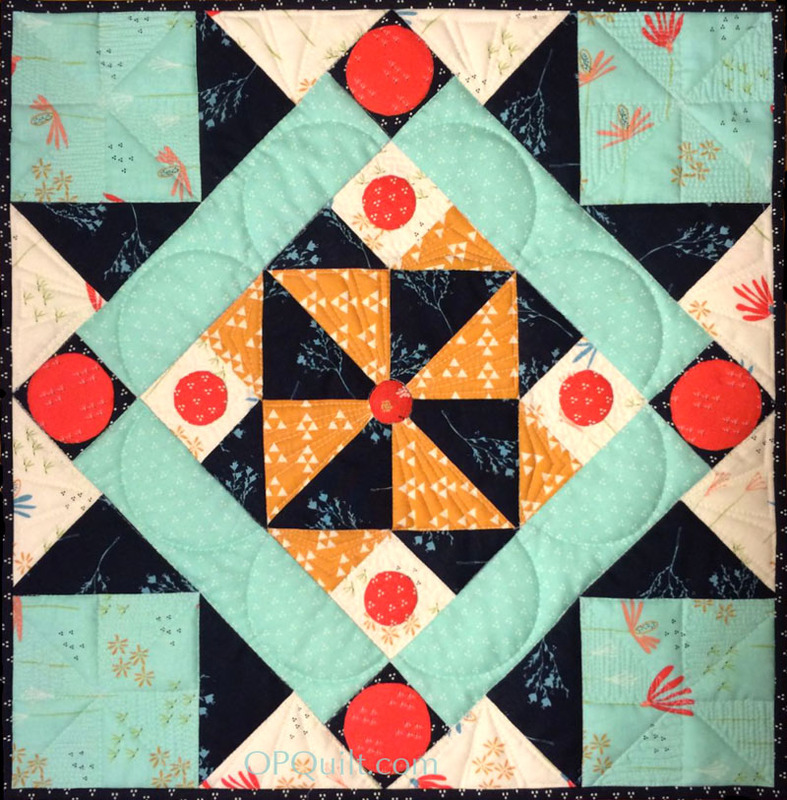 Next up: my Starry Compass Rose at Market, plus a giveaway! Too cute! I love it! I love Sherri’s fabrics. Cute Cute! I especially like the last photo on the fence. Amazing as usual. 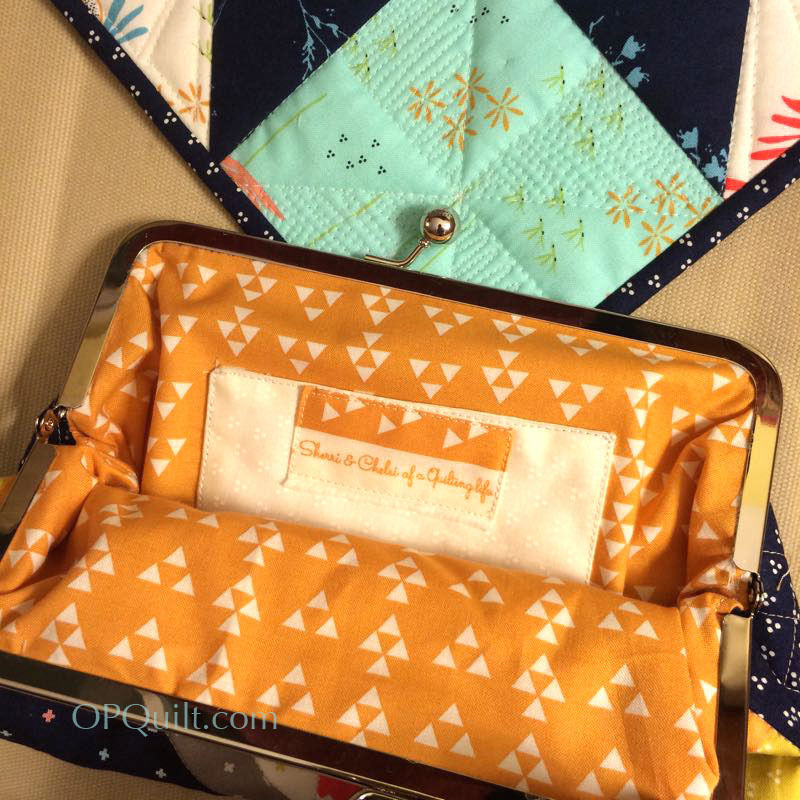 Love the clutch and the quilt. Really beautiful work, as always. 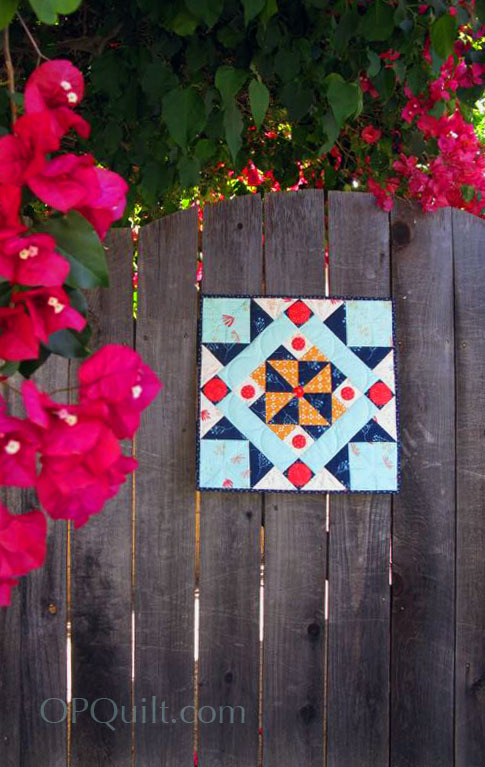 That photo of the “fence”quilt is so pretty! Love the mini and the clutch is too cute!!!! What a lovely little quilt. Love the pop of bright red or red-orange. Computer screens don’t do justice to colors sometimes. Wowe! Your 23rd pattern. I absolutely love the pattern and that fabric– can easily see a throw-size quilt there!! Lovely! I really like that clutch. Those are great fabrics too. The quilt you made for market is do beautiful. I’m impressed with your design skills. Thanks for linking to my clutch pattern. I’m sure Sherri liked it.